Since most Christian churches no longer teach even the basics of Spiritual Warfare, we dedicated this seminar to that critically important subject. 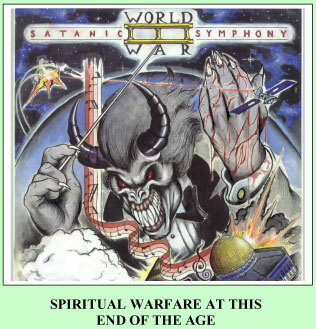 Once you understand that the prophesied religion of Antichrist is Black Magick Witchcraft, you can understand the importance of knowing spiritual warfare. You will better understand such things happening in our world today, like Foot-and-Mouth Disease, Harry Potter, Public School fiasco, Abortion, and the incredible slide into all things Witchcraft among our high school and pre-teen students. We spend nearly an hour discussing the Prayer of Jabez, one of the greatest heretical false gospels to ever hit Christianity. You will also be able to better fight against it and protect your precious children. 4-Tape Set, nearly seven hours of seminar material. CD - MP3 format can be played on your computer as well as some newer DVD and CD players that can handle the MP3 format.